Located in the highly sought after and rarely available "Baroness" complex located along the prestigious Ocean Blvd. strip, this fantastic remodeled home is truly beach front living at its best and offers LOW HOA dues and a PRIVATE GARAGE! ! This designer perfect home offers gleaming hardwood floors, a refreshed kitchen with new Carrera Marble counter tops, white cabinetry with modern designer pulls, recessed lighting throughout, custom window casements, upgraded baseboards, crisp designer interior paint and more! The open floor plan is terrific and the large picture windows allow for a light and bright interior and maximize the fantastic ocean views from every room, including the bathroom! The beach is accessible right out your front door and the recently upgraded boardwalk is terrific to bike or walk on along the Long Beach ocean front. Located in a premiere Alamitos Beach locale you have easy accessibility to Belmont Shore, Pine Ave., the Promenade, East Village Arts district, Long Beach Aquarium, 4th Street Retro row, Shoreline Village and the newly renovated Pike shopping and entertaining complex! 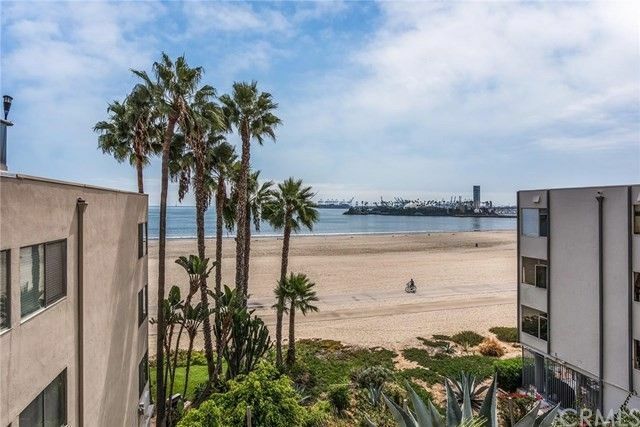 Long Beach is going through a fantastic renaissance and this home puts you in the heart of the exciting developments and ample shopping, dining and entertaining offered nearby! This is a rarity that makes this home a terrific opportunity for anyone looking for their new beach front paradise! Recent Price improvement to an amazing value! !